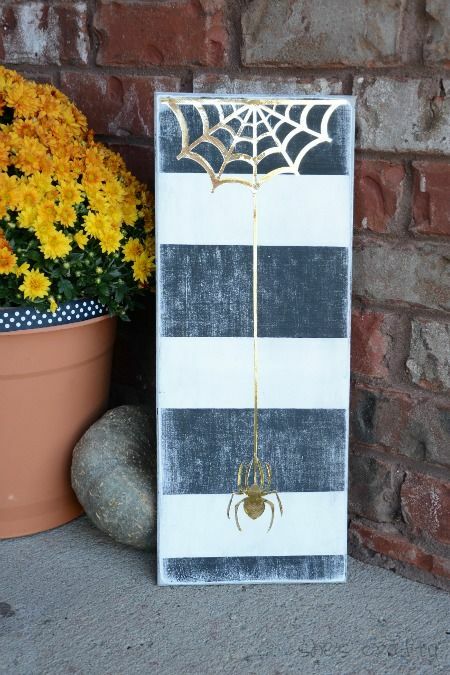 Today I'm sharing how I made this gold spider with black and white stripes. 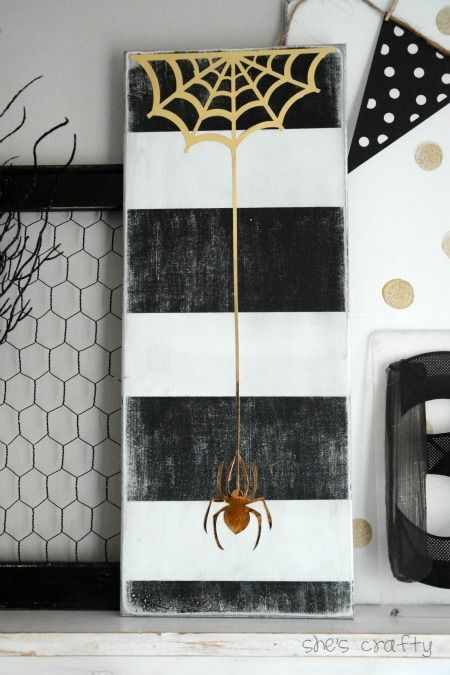 On Monday I shared my Halloween mantel, which included this spider art. I took a piece of wood I had in my stash and painted it white. 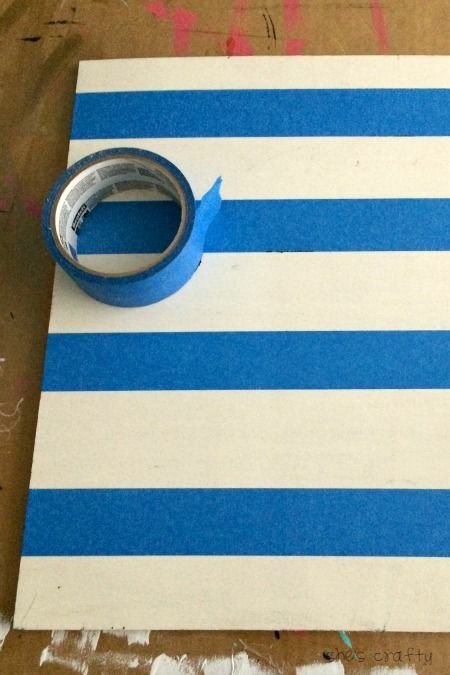 Then I taped off some stripes with painters tape. 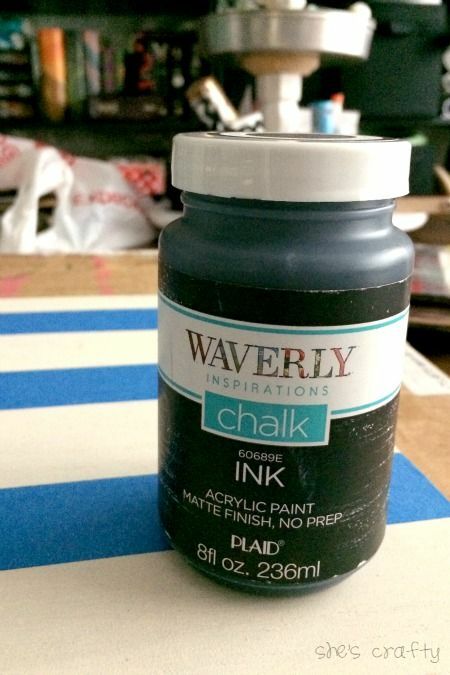 Then I painted the board with acrylic paint. in my drawer so I used it. I really like how smoothly it went on and it dried super quick too. sanding with my little mouse sander. I liked and downloaded it. 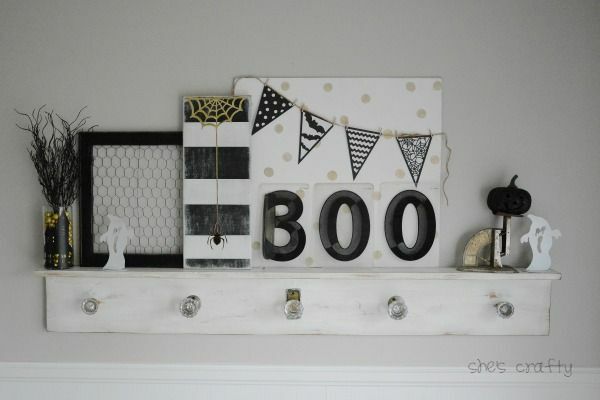 PS: All of the Halloween images are on sale right now. I cut the image out of gold foil paper from the Jen Hadfield Home-Made line. 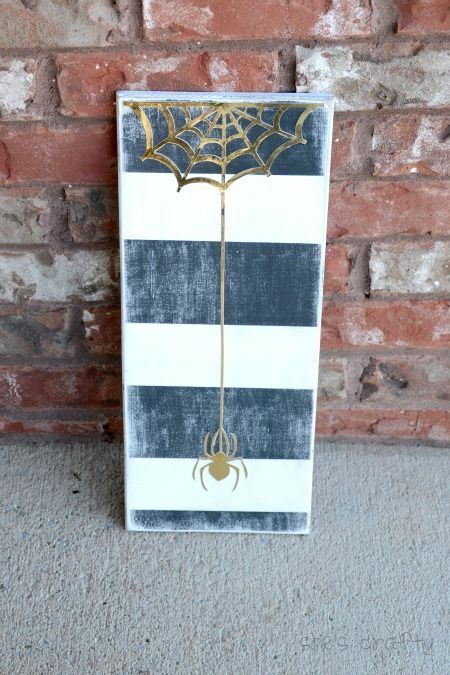 Then I simpley glued the spider onto the board.